The Macintosh SE was introduced by Apple at the same time as the Macintosh II in 1987. It fit in the same size case as the original Macintosh computer from 1984. First compact Macintosh with space for an internal hard disk, or, if the user preferred, dual floppy drives. 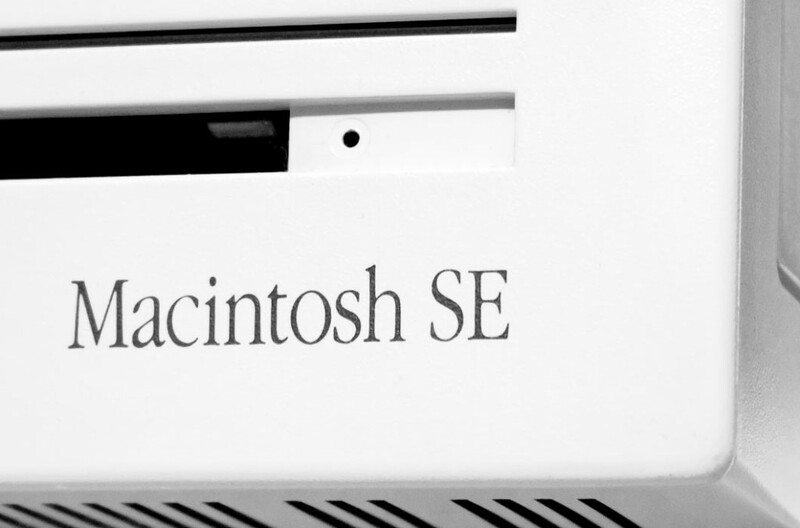 First compact Macintosh that featured an expansion slot (SE stood for “System Expansion”). Used the new Apple Desktop Bus (ADB) for keyboard and mouse interface. 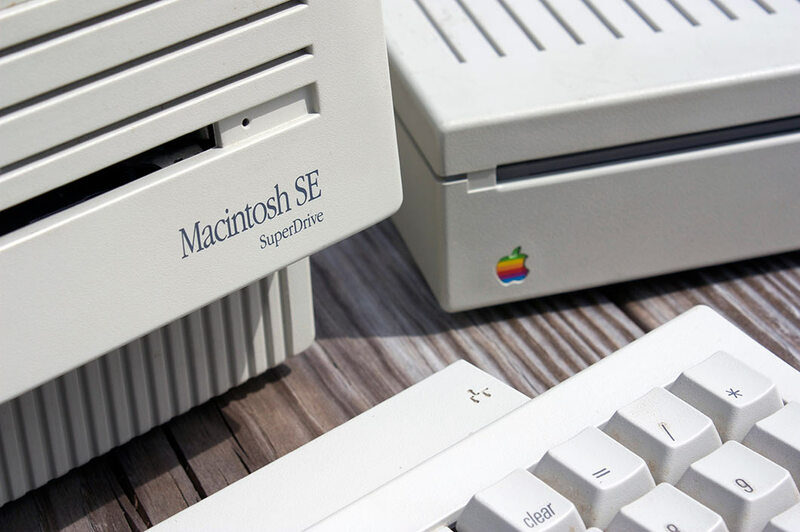 In August 1989, Apple started shipping a new version of the SE with their new “FDHD”, or SuperDrive, floppy disk drive, which could handle the 1.4MB HD floppy disks that became the standard on both the Macintosh and PC computers for the next decade. First presented at MacWorld San Francisco, 1989, the Mac SE/30 was a Mac IIcx in an SE’s case. It has a 16 MHZ, 68030 processor paired wih a 68852 coprocessor. The ROM allows for a new type of RAM, upping the maximum amount recognizeable to 128 MB. 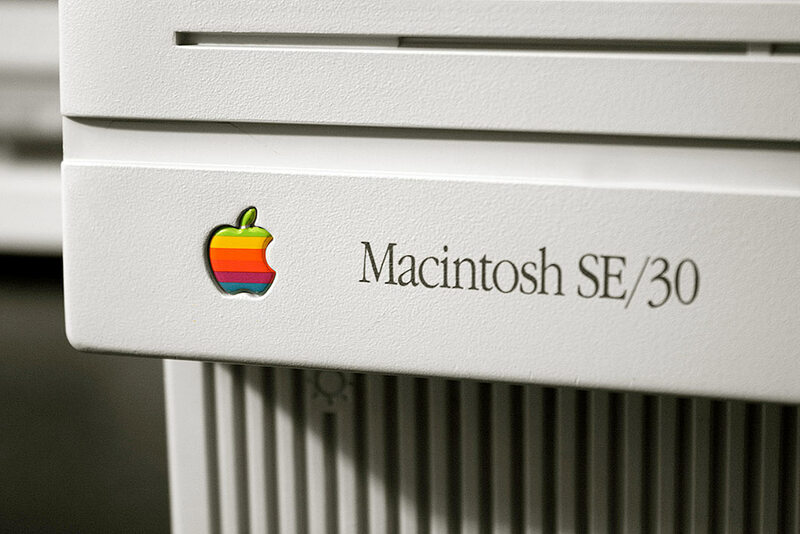 Presented first at MacWorld San Francisco in 1989, the Mac SE/30 was a Mac IIx in a Mac SE’s case. It has a 16 MHZ 68030 processor, with a standard 68882 coprocessor. The ROM allows a new type of RAM, and is capable of holding 128 MB worth of it. Due to the smaller case, however, the SE/30 is unable to use NuBus cards, instead, relying on an SE PDS slot for expansion. The early version of the machine had two SuperDrive floppy drives in it, with later versions including a hard drive of some sort. The SE/30 had a cleaner facade, loosing the second slot in place for Snow White lines. With the new version of QuickDraw included on the SE/30, color monitors were compatible. Though the machine lacks onboard color, it is capable of adding a color display through a graphics PDS card.